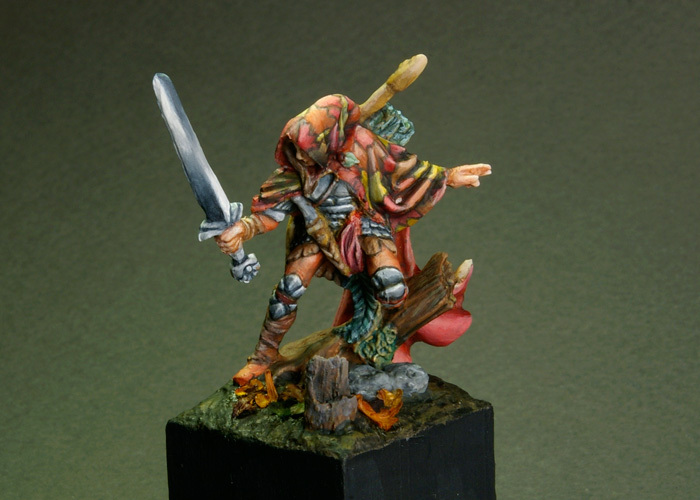 This is Reaper Bones Nienna, Elf Ranger, painted as a display model. There was some frustration about clear detail that would have been allayed, I think, with the metal version of the model, but overall, it worked well. See more photos in my gallery. Fantastic! Way better than my version. The sword is very nice. As for detail, trust me, they aren’t much better in the metal version.